As part of the 45th anniversary of Australia China diplomatic relations, Australia Performs treats Chinese audiences to a 4 month season of dance, circus, theatre and music from leading Australian performers. 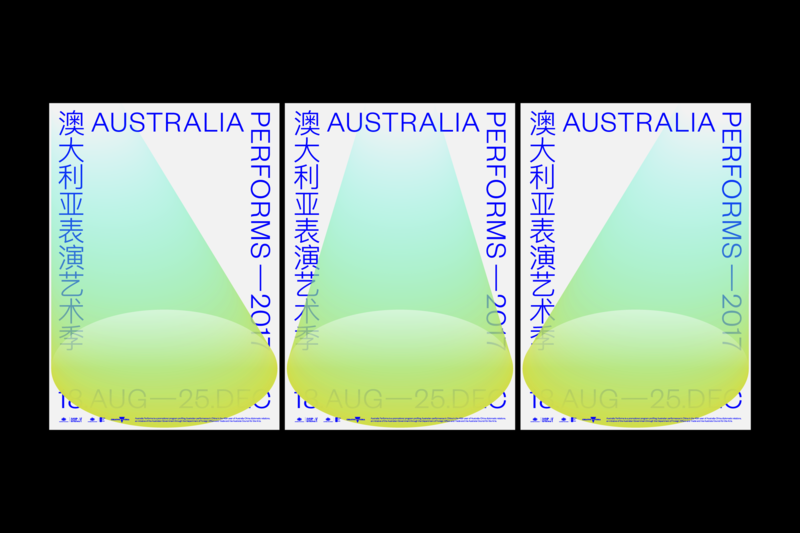 We were engaged to create a visual identity system for the bilingual campaign that highlighted the breadth of contemporary Australian performance happening across China. Putting Australia in the spotlight we paired strong type with a bold, dynamic graphic and a contemporary spin on classic Aussie colours. The campaign was rolled out across the Embassy’s website, Weibo and WeChat platforms.